It’s February! And, just in time for all of us at GoWork to spread the prosperity and love, we’re here to bring you good news! In celebrating our partnership with BCA, we’ d like to share the joy with everyone looking to be productive with GoWork! Get 2 days of Daily Coworking membership plan for the price of 1, along with all the nice perks and benefits that come with it! This promo is only valid for on-website purchase only, so check out our locations page and find a space that suits you! 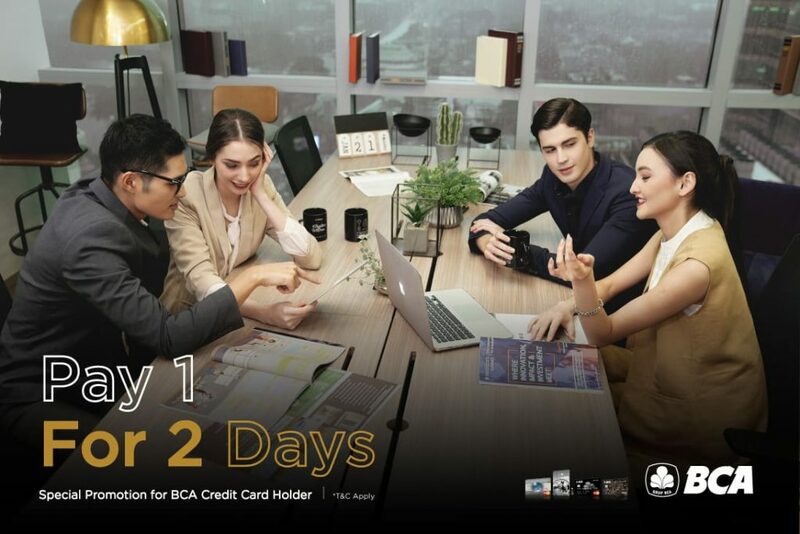 #GoExperience our space and beyond with BCA, only at GoWork! Get 2 free days of daily membership plan for the price of 1. This promotion only valid for payment using BCA Visa/MasterCard Credit Card. This promotion only valid for Daily Coworking membership plan. The 2-days of membership do not have to be redeemed consecutively. The membership is valid 90 days after first usage. This promotion is only valid during the period of 7 February – 31 July 2019. Online purchase is valid for new members only. Existing members please make your purchase at your nearest GoWork locations.